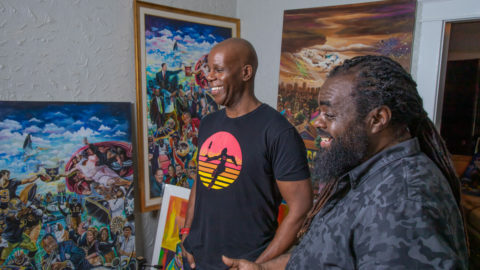 Editor’s note: We sat down with Mike McCarter to hear how he uses Microsoft to keep his entrepreneurial spirit alive and well. Here, he tells our writer his story in his own words. About four years ago, I almost quit. I was getting restless and decided that I wanted to launch a startup. Soon after that, I told my manager that I planned to leave within the next year. I told her that I needed autonomy and creativity. I wanted a job with greater purpose and world-changing impact. I wanted rapid growth, not just of my products, but also of myself. Her response caught me off guard. She said she’d support me either way and offered a few suggestions for ways I could get all those things at Microsoft, should I consider staying. She could give me more room for creativity and risk-taking, more help gaining access to all of Microsoft’s resources, and a lot of other things that I’d not considered doing before. I stayed, and I never looked back. I’ve always looked for creative ways to solve problems, ideally without involving a ton of waste. As a rural kid growing up three miles away from a very small town, I didn’t have much to do other than figure out how to entertain myself. I had to be independent and resourceful. So I got into fixing and building and creating things—treehouses, go carts, you name it. Once I got my uncle’s ancient dune buggy up and running again with very few tools and even less adult supervision; for a brief moment I may have been the only eighth grader with wheels. I was always redesigning things that were broken and giving them a new purpose. Although I didn’t know what to call it at the time, I now realize that was lean hacking (experimenting with new ideas and testing them—quickly), and it turns out I’d been doing it for a while. Instead of leaving the company, I decided to bring more of this mindset to my job at Microsoft. I turned an old lab into a collaboration space where my team and I can experiment constantly. I love that space. 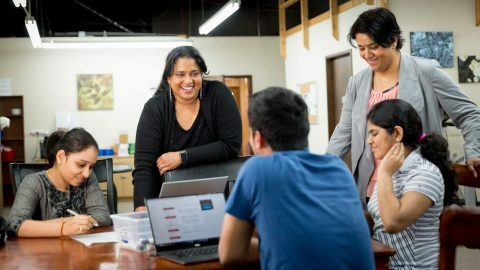 In it, our vetting and forensic services team (translation: we protect Microsoft and its customers from a variety of risks) have developed products—sometimes with the help of The Garage, and other times as volunteers supported by Microsoft Philanthropies. Together, we built a state-of-the-art identity-vetting platform. We found that our skills translated well to areas with great societal value too; our lean hacking tactics have helped us address major global challenges through solutions like PhotoDNA, a product used to fight child exploitation on the internet; Child Finder Service, which helps find missing children; and Content Moderator, which helps organizations identify high-risk text, images, or video on their platforms. 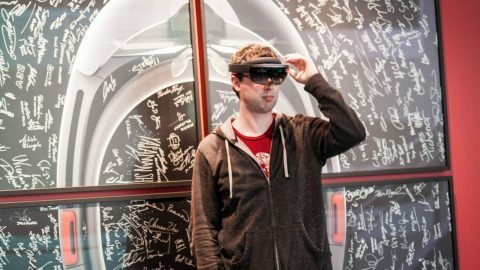 Instead of leaving the company four years ago, Mike McCarter decided to bring more of lean hacking mindset to his job at Microsoft. “So far, there’s nowhere else I’ve found where I can have a greater, global impact than at Microsoft,” said McCarter. Other hacks are fun, and our team engages in small experiments constantly; we’ve created a four-in-one programmable-height ping-pong scrum table, a custom-designed lab layout with a bell for big wins, and a community snack cart for sharing healthy treats. In a team survey, 100 percent of our people said that their jobs are more than just jobs—they have real meaning. I think this is due to our hacking culture. Since that conversation with my manager four years ago, I’ve gone through a transformation—I used to think that I needed to start my own company, make a fortune, and then have a positive impact on the world afterward. But I’ve realized that life is too short to defer one’s calling. I still often wonder about other opportunities. But the question I ask myself is how much impact can I make somewhere else versus where I am at. 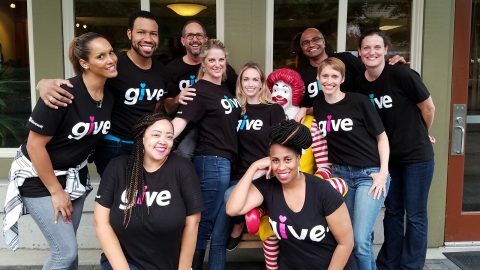 So far, there’s nowhere else I’ve found where I can have a greater, global impact than at Microsoft.